In this gripping supernatural thriller of horror and edge-of-your-seat suspense -- from New York Times bestselling author Douglas Clegg -- something is terribly wrong with the children of Colony, West Virginia. They come out at night - to hunt. When Joe Gardner and his family return to the small town of Colony, they discover a nightmarish force taking over the old mining town...Praise for Douglas Clegg's Fiction: "Clegg is the best horror writer of the post-Stephen King generation." - Bentley Little, author of The Policy "Clegg delivers " - John Saul, bestselling author of Faces of Fear and The Devil's Labyrinth. 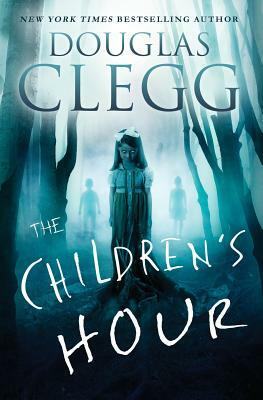 "Douglas Clegg has become the new star in horror fiction." - Peter Straub author of Lost Boy, Lost Girl and the New York Times Bestseller Black House (with Stephen King) "Clegg's stories can chill the spine so effectively that the reader should keep paramedics on standby." - Dean Koontz "Clegg is one of the best " - Richard Laymon "Douglas Clegg is a weaver of nightmares " - Robert R. McCammon author of The Queen of Bedlam and Speaks The Nightbird. Douglas Clegg is the New York Times bestselling and award-winning author of more than 30 books, including Neverland, You Come When I Call You and The Halloween Man. He is married and lives along the coast of New England.